It’s bad enough Nicole Gabrielle is a low-ranking Sigma Wolf—she also harbors a taboo secret that would expel her from the Bryant Wolf pack there in the Pacific Northwest. Nicki is half were-Coyote born from the notorious Juarez Coyote Pack. But Nicki has bigger problems. Were-Bear gangsters blackmailed her family, and the only way to pay them off is to doctor her Pack records and disguise herself in order to hire on at the exclusive Timber Ridge community. No matter how hard she tries to fly under everyone’s radar, however, the hot and charming Jake Bryant pursues her with a royal vengeance, risking exposure to her deadly secret. 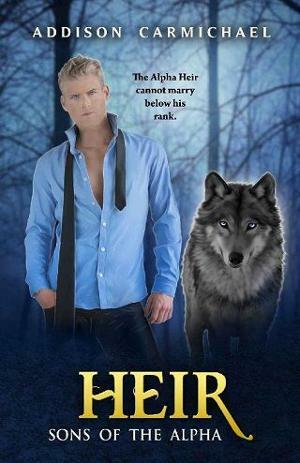 As the High Alpha’s heir apparent, Jake Bryant must abide by one specific Wolf law—he can never marry anyone below his Alpha rank. Unfortunately, his forced-upon fiancée Eva LeBlanc only loves his half-brother Neil. If only he could locate his mystery “Sheila” who rescued him from Arcan Hunters one night twelve years ago. She is the only person who has been able to help him make sense of his chaotic life, and the only woman he’s ever truly desired. With the exception of this intriguing new employee in the Pack organization…who seems strangely familiar.